It’s been a few years since we’ve been to Italy but our adventure in Venice seems like yesterday. Not your typical image of this city of waterways but certainly a fun one. 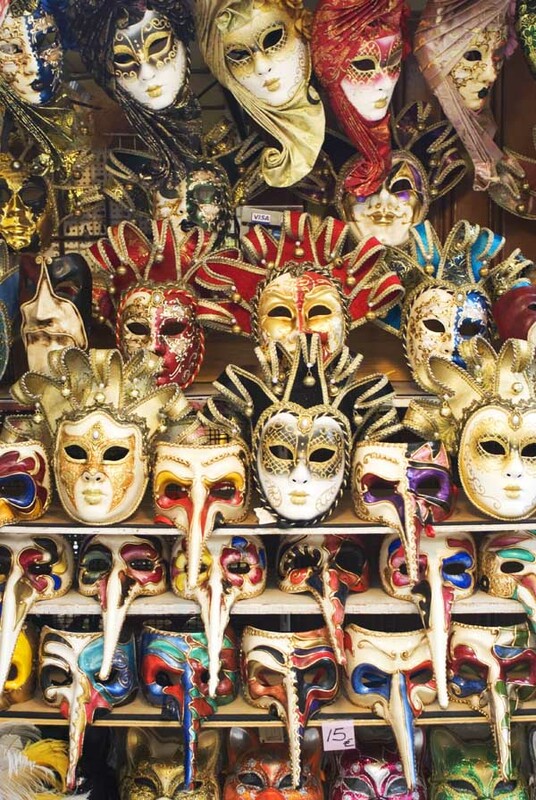 We couldn’t resist trying some of these Italian masks after snapping this photo.. We think it’s time to revisit another group trip to Venice and the rest of this amazing country. Stay tuned for an upcoming group tour to Italy! Those masks are so cool, I love the colors & detail. Those masks are all so beautiful! Very detailed and creative. Thanks for sharing! Every time I see masks like the ones in the photo I wonder about what it was like to go to one of those masquerades in the old days. Great Photo!